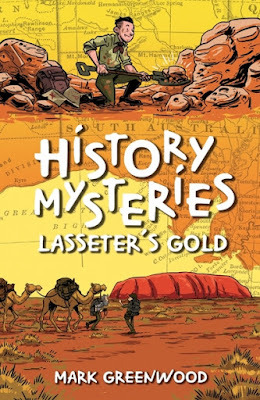 Mark Greenwood has brought to life the mystery of Lasseter’s Gold, another title from the exceptional series, History Mysteries. In 1897, Harold Lasseter claimed to have found a gold-bearing reef while searching for rubies in Central Australia. Although he kept a diary, detailed maps, and noted prominent landmarks, countless expeditions undertaken have failed to find the gold. Whether truth or hoax, this story continues to puzzle and challenge through the years. Was he a liar and a conman as some people say? If he found gold, why would he create a complex weave of information impossible to untangle? This story is not only about Harold Lasseter, but the quest of a lifetime by his son, Bob Lassiter, to clear his father’s name. His journey is not over yet. It is also a fascinating part of our country’s history; returned to and examined again and again. 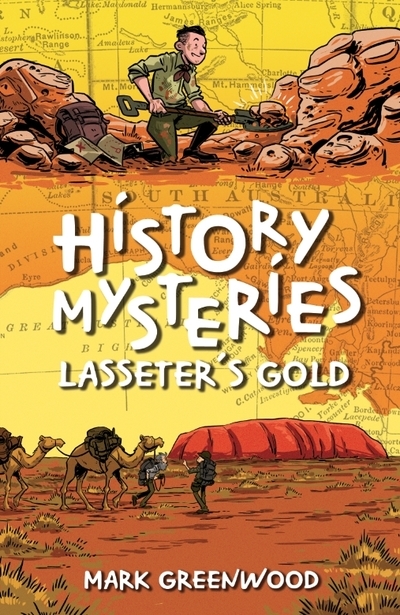 Lasseter’s Gold is a fantastic and thrilling adventure written for young readers to explore and question. Mark Greenwood has gone to great lengths to research this story that will never die. Copies of newspaper articles, maps, letters and photographs bring the reader into the era. More information is included at the end of the book with maps, a Timeline of Events, recommended reading, and websites to peruse.